To say I was fired up on Opening Day of 1993 would be an understatement. Although I had somehow killed a bird on the very first morning of my first season the year prior it was a fluke and I knew it. Aside from that one encounter, it had been an uneventful season. But this was a new season and I had done my homework and I was ready to hit the field with a new and improved game plan. I dropped down off the hillside and entered the Flint River Swamp with high hopes. Although I didn’t hear anything at first light, I knew there were birds around. I worked my way down the logging road hitting my owl hooter every 100 yards and then turned into the woods 50 yards before I got to a clear cut. I hadn’t taken 20 steps when a bird that couldn’t have been more than 60 yards away gobbled on his own. I immediately panicked not really sure what to do so I just dropped down in front of a tree facing towards the gobbler and pulled out my Lynch Fool Proof box call. I felt cold water soak into my pants and realized not only was I sitting in the swamp but I was pretty much surrounded by ankle deep water with dry mounds protruding at random spots. Knowing I could not move I accepted that I was just going to be wet and tried my best to do a soft yelp without squeaking as I had never called under such pressure. The second I made a sound with the Lynch box the gobbler cut me off. My heart and mind were racing now even though I had already killed a bird, it had happened in a very non-traditional way and this was the first time a bird had actually gobbled at me and was in this close. I eased the call into my lap with the paddle fully open hoping it wouldn’t make any noise, and raised my Winchester 1300 onto my knee. I was already struggling to keep my composure when he popped into view only 30 yards away, at which point I started to hyperventilate. I could not get my breathing straight or keep my gun still and my barrel moved like I was waving a flag every time I breathed. I thought for sure he would see this, but somehow he didn’t. To make matters worse, he was headed in a direction that would take him to my right. And even if I could turn, which I couldn’t, I had a big palmetto bush right next to me that was about to become an obstruction. About the time I concluded I was totally screwed, he made a hard right and started coming across out in front of me. My insides were going through what felt like nuclear fusion and honestly I felt like I was going to explode, but somehow I kept myself in check. Finally he moved around and was 20 yards out and turned away with his fan towards me. I swung my gun around and got lined up. When he turned he seemed to notice something and pulled his head up. When he did, I fired and he went down. I came up on my feet like a gymnast at the Olympics and ran over to him. I was lucky because he had fallen onto one of the few protruding mounds which kept him from getting wet. I just stood there shaking in muck and ankle deep water looking at him still not believing what had just happened. He laid perfectly still right up to the moment I touched him. At which point he miraculously came back to life and went berserk. I had no idea this was coming and not knowing what to do, I latched onto his neck with one hand and held on to my gun with the other and tried to choke him to death. He immediately started wing whacking me and I could tell the choke thing wasn’t getting me anywhere, but I was afraid to let him go thinking he would fly off. I was frantically trying to figure out what to do when he knocked my hat off and my facemask slid down over my eyes. Realizing I was now blind and in the process of being flogged to death - and not wanting to drop my gun in the water - I tried to fling him and snap his neck like a pheasant. That didn’t work as I realized he was a lot heavier than a pheasant, and I jammed my index finger in the process. Out of desperation, I slammed him as hard as I could into the mud and water and then started trying to stomp on his head. Eventually, I connected and sat down on him. I stayed there for a while just in case it was a trick. When it was over, I had mud in my barrel, looked like I had been swimming in a mud hole, and the bird looked like he had been dragged behind a boat. I remember seriously considering shooting him again just because. Although I was glad to have killed my second bird and glad to survive the ordeal, I realized I still had a lot to learn. It goes without saying that this was not a hunt I would have wanted on video. 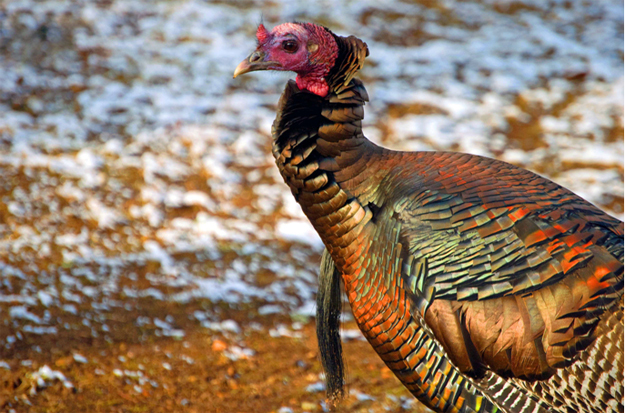 I felt foolish but was thrilled to have had my first encounter where a gobbler gobbled and strutted and reacted to my calling. As bad as he looked afterwards, this event had completely hooked me on turkey hunting in a way that no type of hunting ever has. 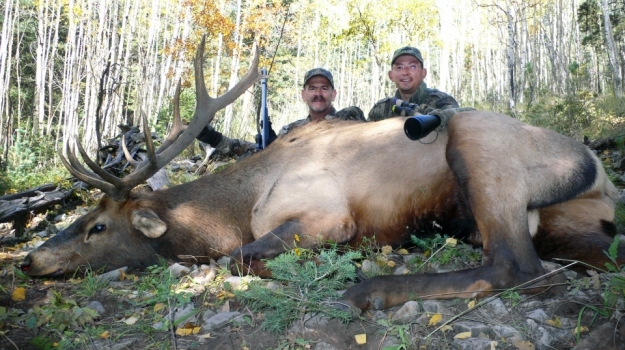 Almost 20 years later, many of my hunts run together, but I remember this hunt like it was yesterday. Traumatic experiences will do that for you. I’m often asked, “Ralph, how close do you usually bring a bull to your hunter, before the hunter takes the shot?” Whether my hunter is a bowhunter, a rifle hunter or a blackpowder hunter, his or her average shot is about 18 yards. As a guide, my goal is to get the elk within that 18 yards. Now, I have called in bulls within arm’s length of my hunters before. Wildlife management and green field plantings don’t have to be a one trick pony. 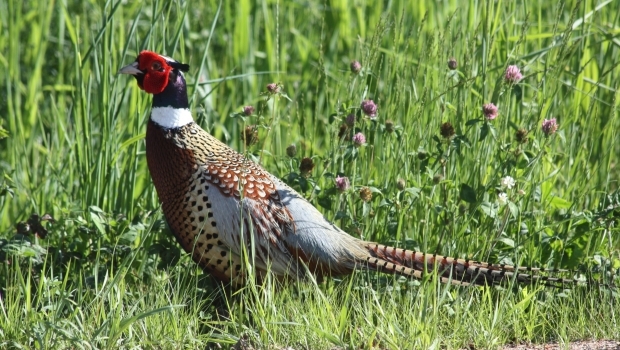 In many places, green fields and wildlife plantings primarily are established to provide food for deer and harvest opportunities for hunters. However, your green fields can be more than just deer magnets. 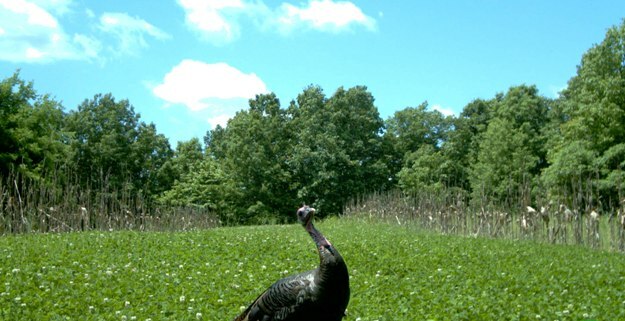 You also can use a green-field management program to provide food and habitat for wild birds, including turkeys, other wild birds and game birds. A bowl of dumplings is a comforting and warming dish. This recipe calls for wild game bird like quail or pheasants. This hearty soup with added dumplings hits the spot.